Badgers and wolverines don't resemble each other even though they both belong to the mustelidae family that also includes skunks, minks and weasels. Like other mustelids, they have five toes on each foot and use a musky odor to mark territory, attract mates and to defend themselves. But these distant cousins live in vastly different habitats. The United States badger population is stable, while wolverines struggle to survive in only the wildest places. Badgers are short, flat, fat and fluffy. They are 16- to 28-inches long and weigh 9 to 26 pounds. They have long, light gray to brown fur on their backs and sides and black on tops of their heads with a cream-colored chest, belly and throat. They have small, round, white ears and white cheeks framed by black stripes that resemble sideburns. A black stripe extends from the top of the head to the nose, separated by a white stripe from the nose to the shoulders or, in some areas, to the tail. The badgers utilizes its long, thick claws on their short, black feet for digging. Wolverines have a compact and powerful build that resembles a small bear. The color of their long fur ranges from blond at birth to dark brown or black with blond tips, a gray or black tail and a light face as they age. 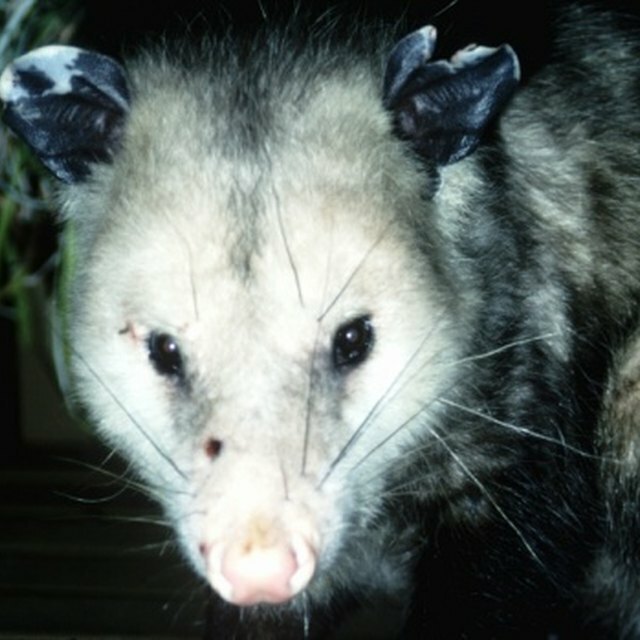 They are much heavier than badgers, weighing 18 to 46 pounds and approximately 3 feet in length. Their heads are round with dark eyes and round ears. They have very large black paws that act as snowshoes and very long, powerful claws. Rarely seen in the wild, wolverines are a candidate species for protection under the Endangered Species Act. Wolverines and badgers rarely cross paths in the wild. In the United States, wolverines live only in Washington's North Cascades mountain range and the Rockies of Montana and Idaho. In these areas, they live in high mountain valleys and on steep slopes rarely visited by humans. Although known to attack and kill deer, their primary food source is rotting animal carcasses supplemented with small animals, fruits, and insects. Badgers make their homes in prairies, meadows and scrub forests from the west coast to the Mississippi River and live on rodents, snakes, insects and animal carcasses. The most staggering difference between these two species may be the size of territories they occupy. Male wolverines have a home range of about 920 square miles, while the territories for female wolverines is about 390 square miles. Male and female wolverines will fight other wolverines to the death to defend their home ranges. The territories of male badgers are 1 1/2 square miles, while females live in a territory of approximately 1 square mile. Badgers don't defend their territories and their home ranges may overlap with other badgers. Kelley, Roger. "What Is the Difference Between a Badger and a Wolverine?" Sciencing, https://sciencing.com/difference-between-badger-wolverine-8645505.html. 05 April 2018.